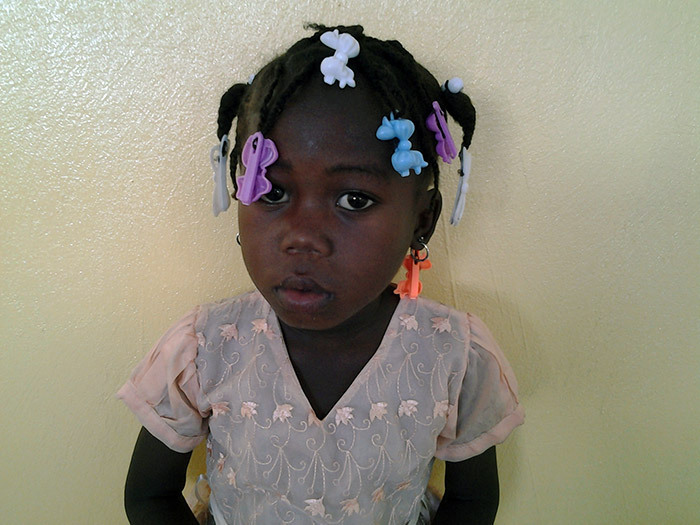 In January of 2010, a devastating earthquake struck Haiti. We all remember the destruction and suffering that followed. 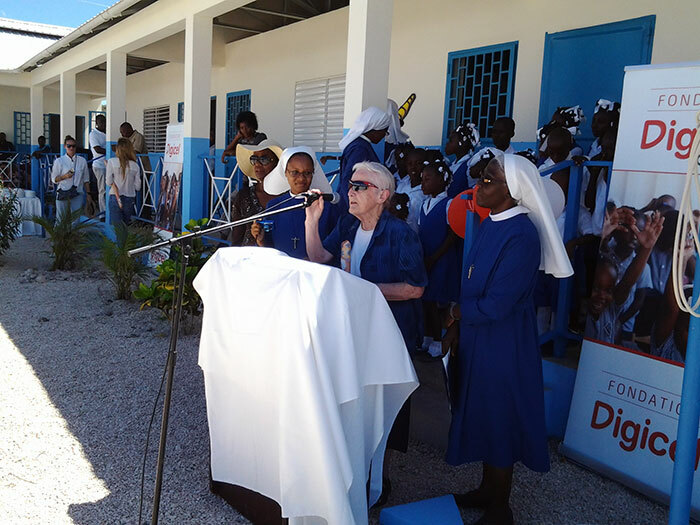 But now, six years later, Sister Christiane Gervais, Provincial, shares with us the joy of re-opening St. Madeleine, an orphanage that had been constructed and was waiting to open when the earthquake hit. “In 2001, St. Madeleine Boarding School, which is 123 years old, was moved from the city center of Port-au-Prince. 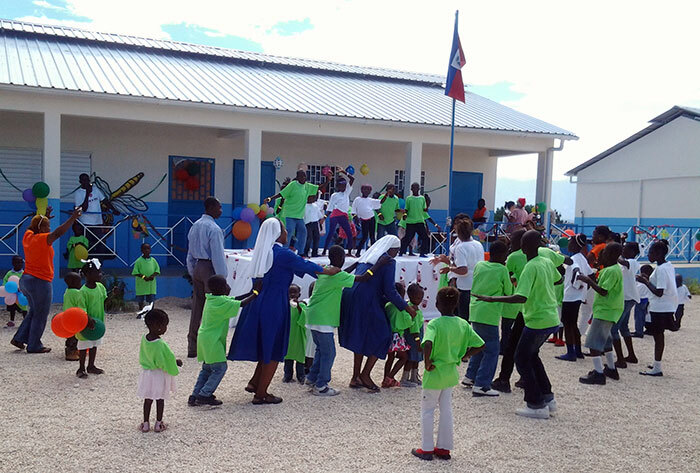 Shortly after, a new building was started in Bourdon, between Port-au-Prince and Petionville. It was to open in March or April 2010. Unfortunately, it was completely destroyed in the earthquake of January 12th. Thankfully, no one was killed, but a small fortune was lost! 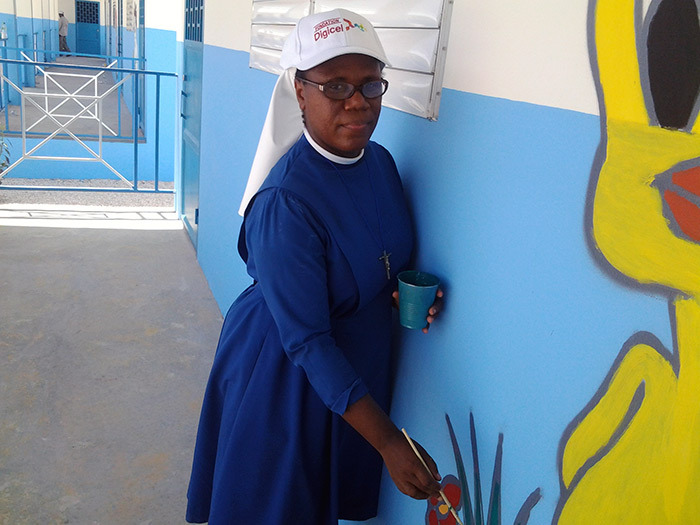 Following that disaster, the Province thought it would never re-establish this work, but then a past pupil of our school in Trinidad, West Indies, Dr. Paula Henry, offered to help with its reconstruction. She asked herself: ‘What will become of these children? Where are they?’ Thus, she offered to help with the funding. 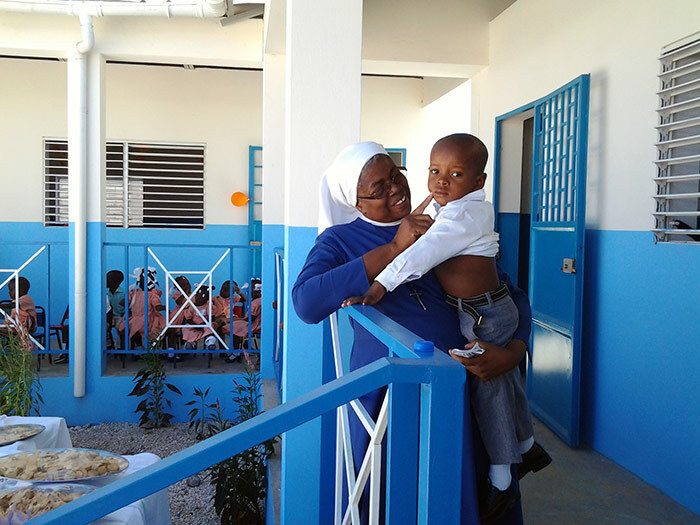 The Provincial told her that the Province could not afford to purchase new land because there were eight schools and four convents to rebuild. Dr. Paula offered to pay for the land! 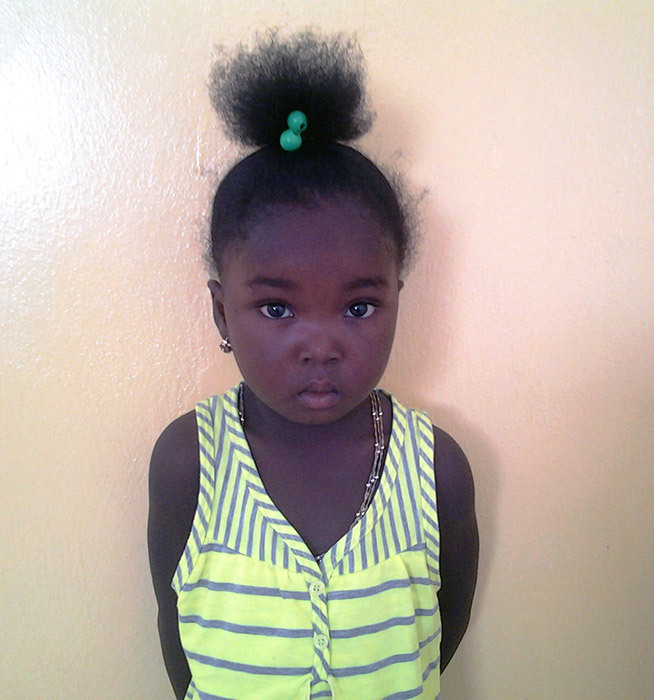 A ‘Haiti and Trinidad’ Association was created. Our Irish sisters were also interested in this project and working alongside the Trinidad group, the project was presented to Misean Cara, who gave their approval. 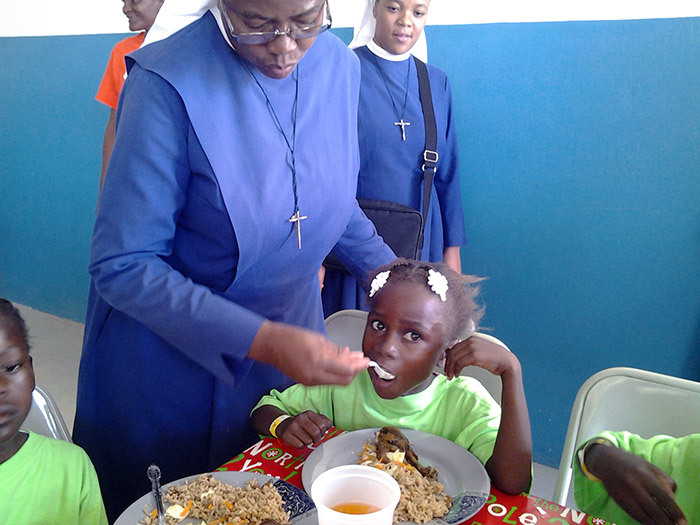 ‘Haiti and Trinidad’ Association held various fundraising activities. Finally, in 2013, land was bought on the outskirts of the capital. 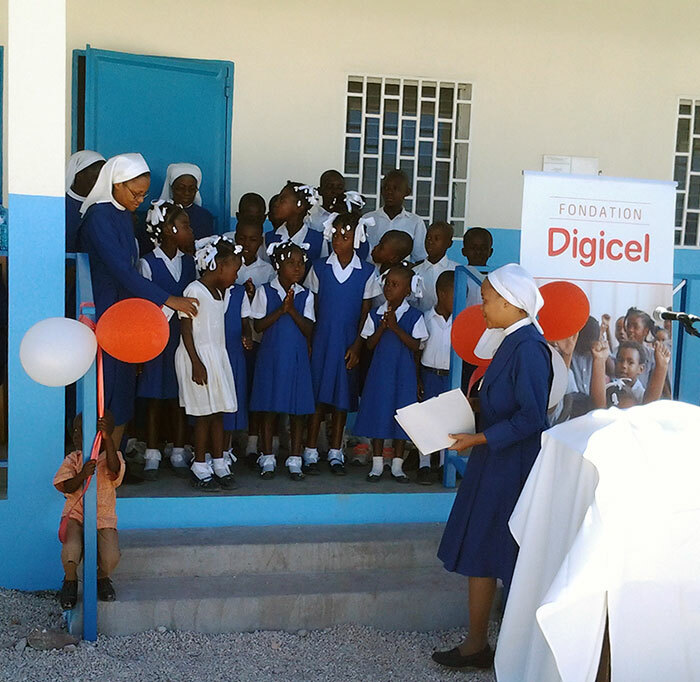 Thanks to the generosity of the Digicel Foundation, (an Irish telephone company), Misean Cara and others, the school was rebuilt with twenty classrooms. 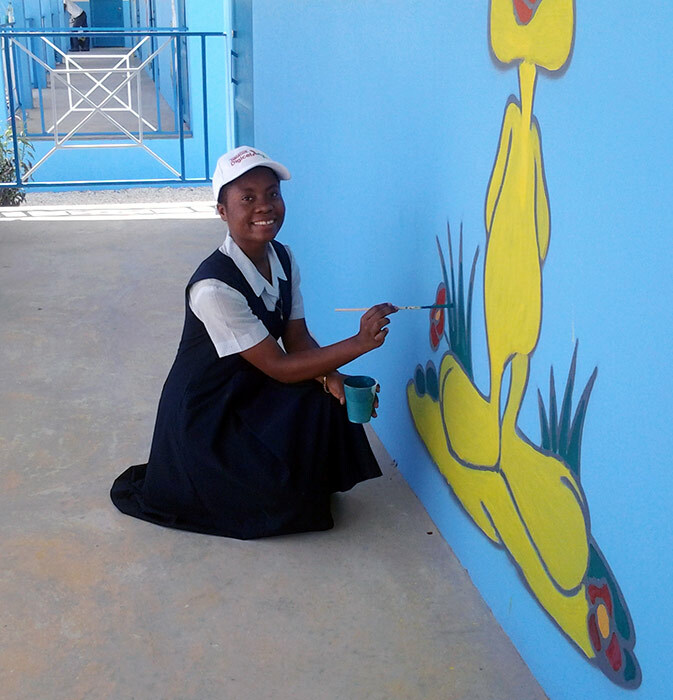 In September 2015, the school opened with children from three to fourteen years of age attending school for the first time. They are very poor and somewhat discouraged. 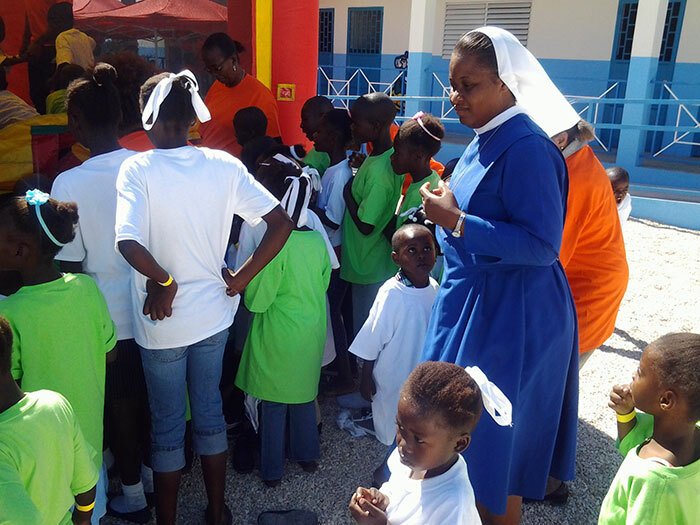 It was the desire of the sisters to reach out to these deprived children. The sisters in the meantime lived in the administration block because they had no residence. Finally, thanks to help from the Congregation, ‘Proche’ (‘Partnership for Church Reconstruction’ …an organization set up after the earthquake by the Ecclesial conferences of USA, Latin America, Haiti), ‘Aid to the Church in Distress’ and other partners and friends, the sisters residence has been built. This is a big project and we are just beginning. 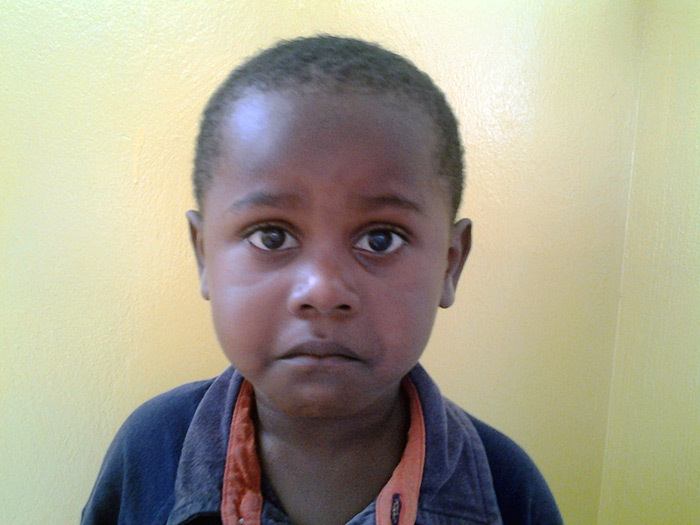 We still have to build the boarding facilities for the children, the vocational school, a poultry house etc. The presence of the sisters in this outlying area of the capital is a wonderful response to the Pope’s invitation to go to the peripheries!